Inspired by the web patterns seen in Art Nouveau architecture. 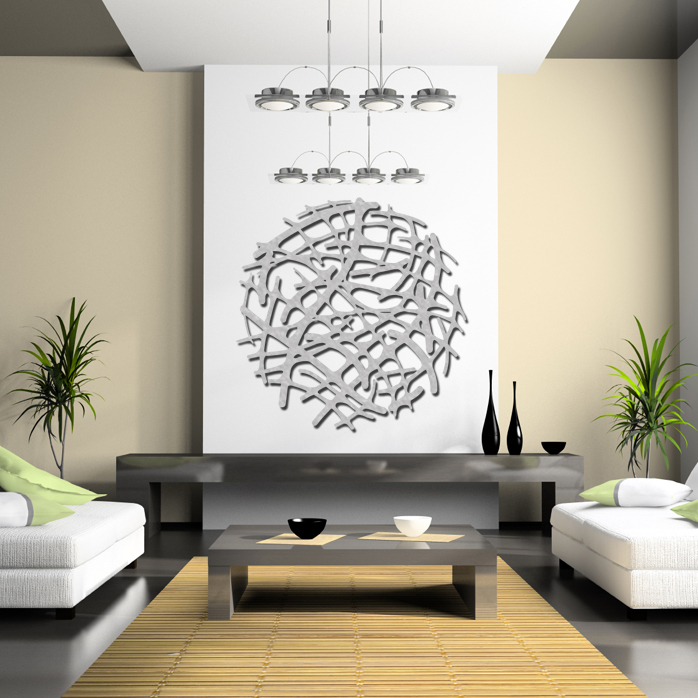 Irregular, freeform intersecting lines in a single panel metal wall art piece. 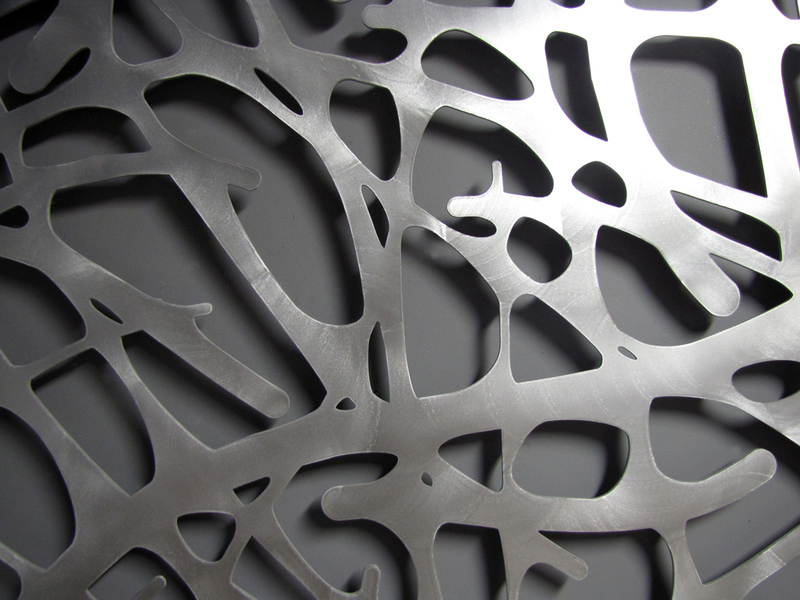 The bright aluminum finish will reflect ambient room light to create subtle color and depth throughout the organic forms. 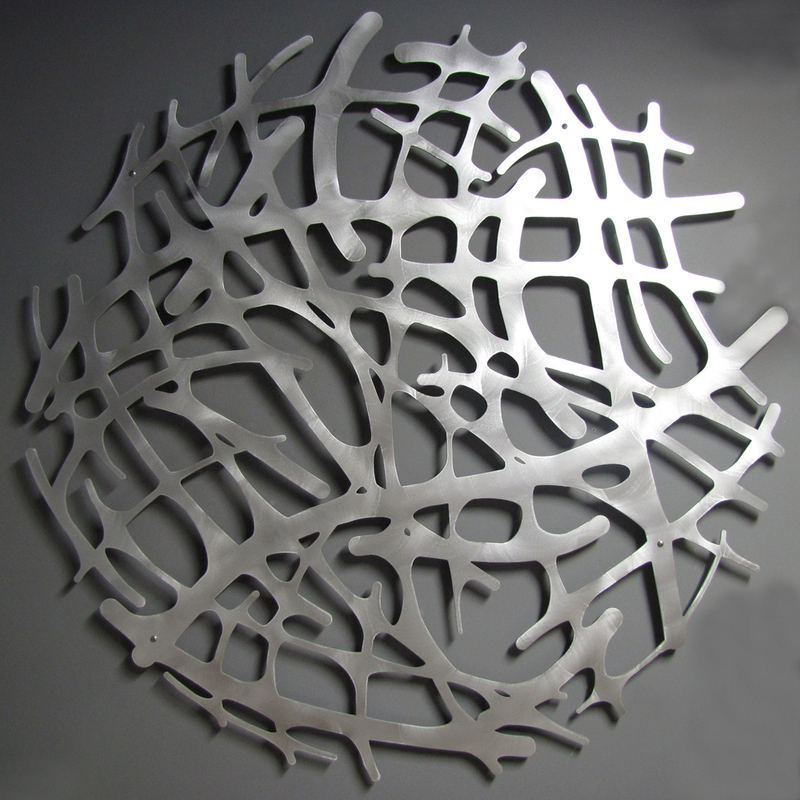 Made from 1/8" aluminum with a satin brushed aluminum finish. Sparkles in the light! It is approx. 46" X 46" with 1" standoffs. 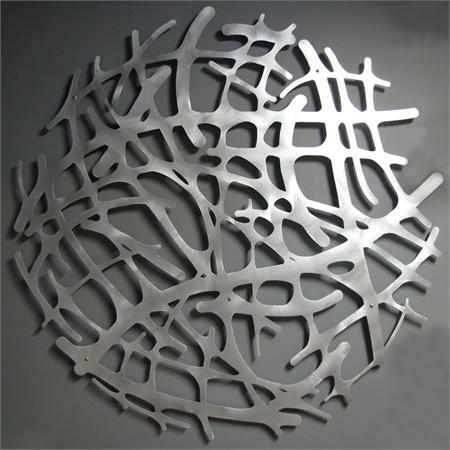 These create wonderful depth and shadow and will vary in intensity depending on light source. This ships to the Contiguous U.S. only.